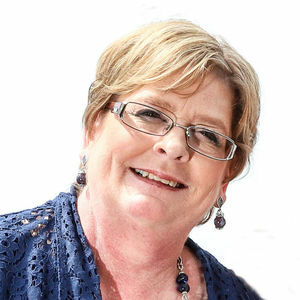 Christine Lynn Baumgart (Greving), age 57 of Holland, passed away peacefully at home surrounded by family on Tuesday, April 9, 2019. Chris was a woman with respectable character, solid morals, and a loving heart. She enjoyed the simple things in life like reading, playing cards, spending time outdoors, and most of all spending time with her family. Chris was a true lover of all animals. She loved to hunt and fish, especially if that meant spending time with her husband Al. Chris was a devoted and hardworking employee for thirty nine years at SAF Holland (previously Holland Hitch). Chris was a devoted wife to her husband Al Baumgart; Loving mother to her children: Leah Kok (Rob), Kyle Kalkman, Ashley Sitzer (Josh); Considerate grandmother to Alexis Morgan; Attentive daughter to her mother, Marcia Greving; A dear sister to her siblings: Scott Greving (Amy), Cindy VanDyk (Tim); and caring to all other extended family and many friends. Chris was preceded in death by her father, Melvin Greving. A celebration of life service is being planned for a later date. Memorial contributions are to be made to the American Cancer Society. The family is being served by Langeland-Sterenberg Funeral Home. Condolences may be left online at www.langelandsterenberg.com.